When you think of calcium, most people think of bone health. 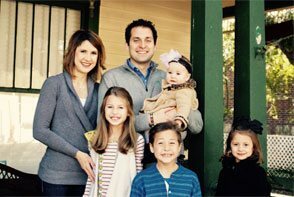 Growing bones, thinning bones, the risk of breaking bones. More calcium would make bones healthy, right? Perhaps – but our body is quite complex, and the right calcium and the right synergists for that calcium are the real answers to calcium health! Let’s learn why. Calcium, in balance with other minerals, regulates nerve conduction and a healthy heartbeat. 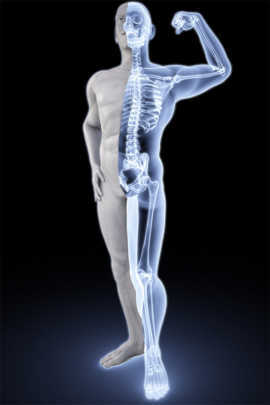 Calcium activates the immune system’s white blood cells to carry away undesirable microbes and support whole body health. Calcium deficiency leads to muscle spasms. Leg spasms and menstrual cramps are uncomfortable, but heart spasms could bring on a deadly heart attack. Calcium initiates blood clotting by activating platelets and clotting factors. Calcium supports ligaments, tendons, connective tissue, and skin. Calcium strengthens our skin, protecting us from the outside world. A synergist is something that increases the effect of something else: something that works in combination with something else to increase its effect. Whole food is a synergy of elements that work in combination with each other to enhance their mutual health-building qualities. The whole IS greater than the sum of the parts. Calcium has many vitamin and mineral synergists. Vitamin D improves absorption of calcium from food and promotes deposits of calcium in the bones. Healthy fats carry calcium and its fat soluble vitamin co-factors in the blood, and fatty acids control the movement of calcium through cell membranes. Parathyroid hormone moves calcium into the blood; calcitonin, a hormone from the thyroid gland, moves calcium into the bones. The stress of weight-bearing exercises stimulates strengthening of the bones; sedentary lifestyles (and weightlessness in space!) contribute to thinning of bones. Adequate protein is needed to carry calcium in the blood and through cell membranes. Calcification of bones depends upon a strong connective tissue matrix upon which the calcium is deposited, along with numerous other minerals. Most all vitamins have some role to play in the regulation of calcium, especially Vitamin D, Vitamin F, Vitamin A, Vitamin C, Vitamin E and Vitamin K.
As you can see, there are many requirements for proper calcium health. Calcium is so important that your body uses your bones as a “bank” to insure that enough calcium is always available to support these vital health functions. Some people think that all one needs for calcium health is to eat enough calcium from any source, but the truth is, organically bound sources of calcium are the way to efficiently build calcium health. 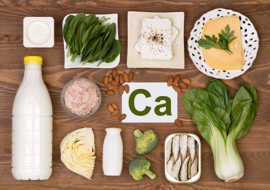 Calcium needs to be “bound” or naturally integrated with the synergists which enable the assimilation, absorption and proper use of calcium WITHOUT taking nutrients from other sources in the body bank to assimilate the calcium. Only when the body has more than enough calcium to accomplish its many health-building tasks is calcium then deposited into the “bone bank” for later needs. Too many “withdrawals” from your “bank” without sufficient deposits leads to osteoporosis. Thinning bones are a critical indicator of the need for Calcium Essentials. Let’s find out what you can do! One of the easiest forms of calcium to absorb is present in spring and well water – calcium bicarbonate. Unfortunately, this naturally-occurring, healthful calcium becomes denatured when water is boiled or purified. This denaturing causes the calcium bicarbonate to become inorganic calcium “rocks” (such as the “scale” that deposits in our tea kettles), thus becoming less healthful. As you can see, calcium in the right form is a nutritional essential. Too often, the calcium supplements are a “rock” form of calcium that cannot easily be absorbed, such as the calcium carbonate found in antacid tablets, coral, shells, and on tea kettles. This calcium requires your body to invest its precious nutritional reserves trying to absorb a bit of calcium, and then use more resources to convert the calcium into a form the body can use. This depletes your body’s nutritional reserves! Protein to help your body absorb calcium and build a structure to support it. Vegetables and fruit for minerals, vitamins, and pH balance. Fats to help absorb and assimilate vitamins and minerals – calcium and its co-factors. It’s also important to exercise and get some sunshine for 30 minutes, three times a week. The exercise will enhance your bone health, and the vitamin D from sunlight on your skin is critical for bone health. Supplement your food and exercise lifestyle with whole food calcium and calcium synergists. Calcium Lactate – Since 1947, this vegetarian source of calcium contains the proper balance of calcium and magnesium (5:1 ratio). Calcifood – A unique whole food product that builds and supports bone health. CalMa Plus – This product is unique in all the world in that is combines the benefits of whole food calcium and magnesium AND includes parathyroid support. The parathyroid regulates calcium metabolism. Calsol – This calcium, magnesium, phosphorus-laden whole food supplement is particularly suited for soft tissue calcium needs. Ask me what would be best for you!